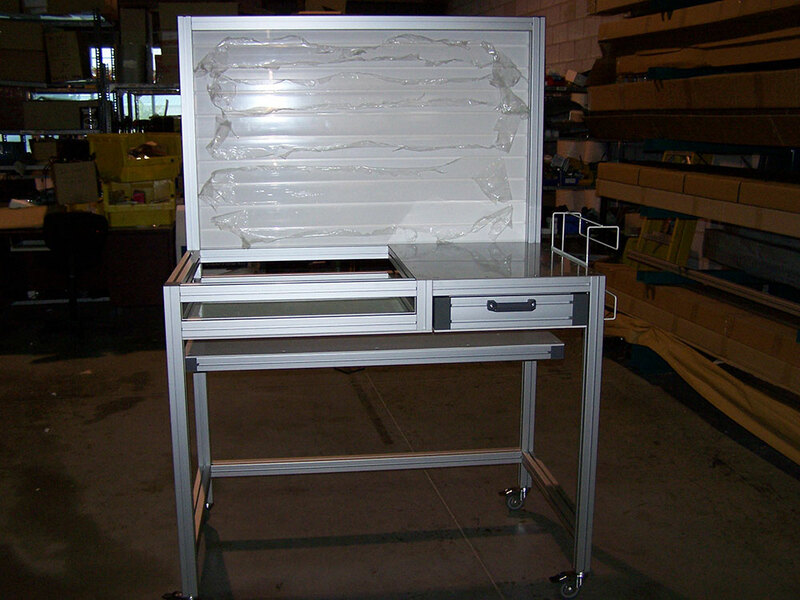 From planning to assembly – save money on labor. 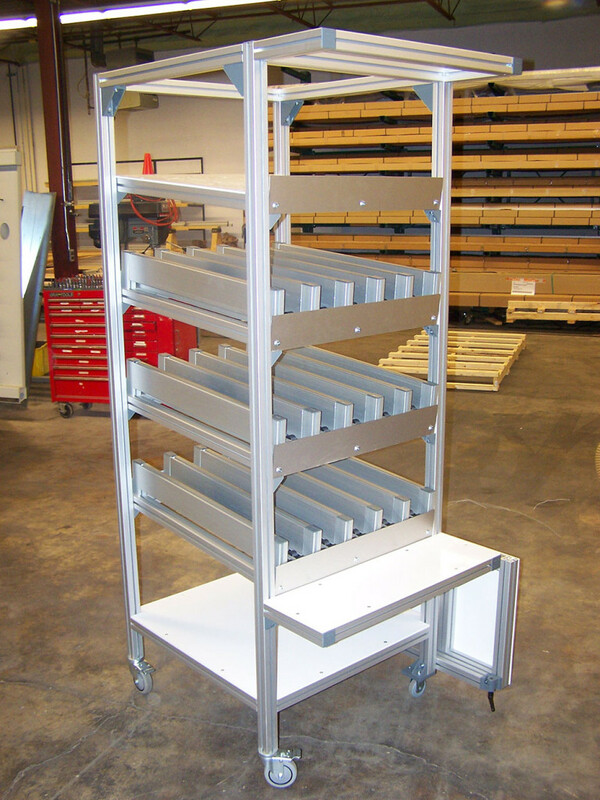 A wide range of profiles and components to help you build a variety of projects including machine enclosures, safety barriers, custom workstations, linear systems and counter-weighted doors. The Power Lock Fastener is virtually invisible once installed and provides a strong connection that eliminates the need for external brackets in a lot of applications making your finished design look awesome. 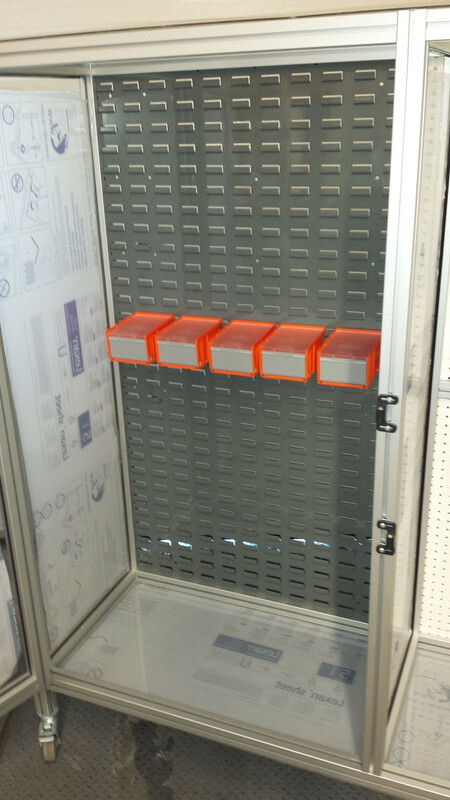 Purchase from our stocked components and get moving on your project fast. 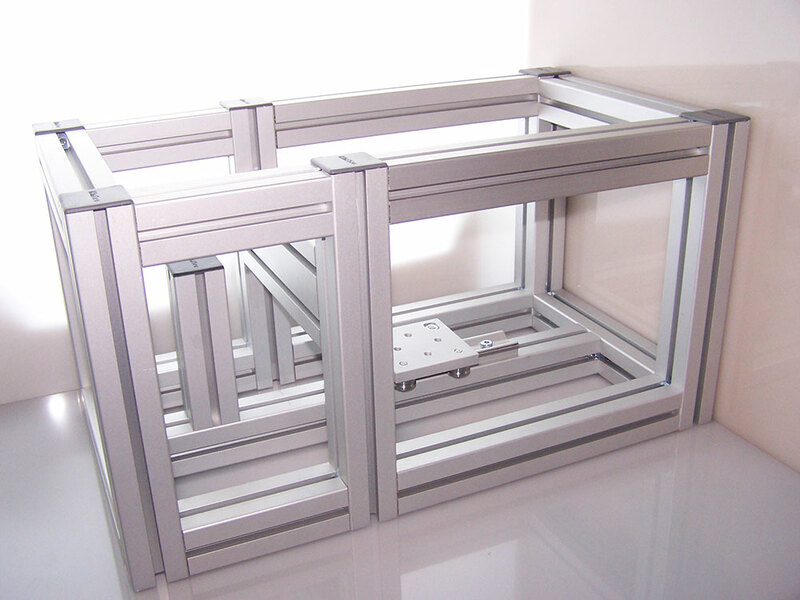 This LR6 Rail and Slide were designed into a frame and used in a small material testing application.